With the intention of building more beautiful cars for the British Car industry, David Ogle founded "David Ogle Ltd." in 1960 at Letchworth in the North of London. Ogle was a well established British Industrial Designer with an excellent reputation for his designs and engineering. In 1959 he decided to branch out into car design and manufacture, his first car the Ogle 1.5, swiftly entered production. This first model used Riley 1.5 running gear with later Ogle designs using mainly Mini Cooper power plants. 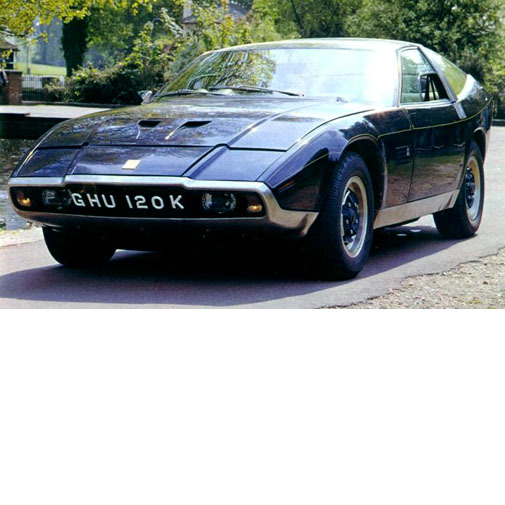 Perhaps the most important concept car by 'Ogle Design' was the 1972 Aston Martin DBS V8 'Ogle'. 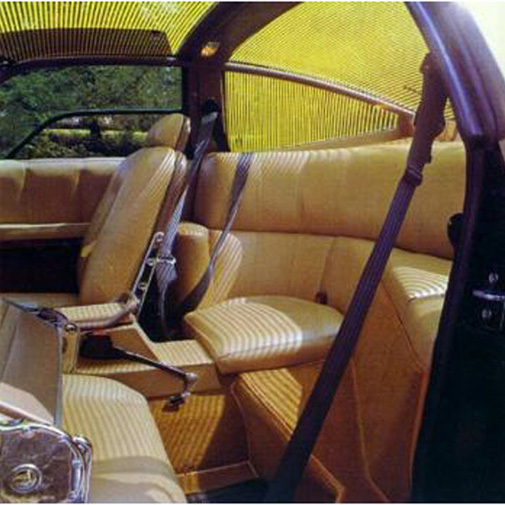 This unusual and eccentric Aston Martin was first shown at the Montreal Motor Show in January 1972, with the cost of the car being met by a tobacco company in order to boost sale results and known as the 'Sotheby Special'. 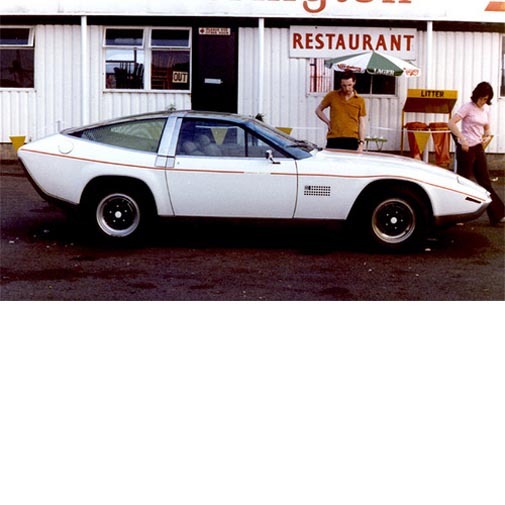 The car was designed and built in 1971 under the guidance of Tom Karen. 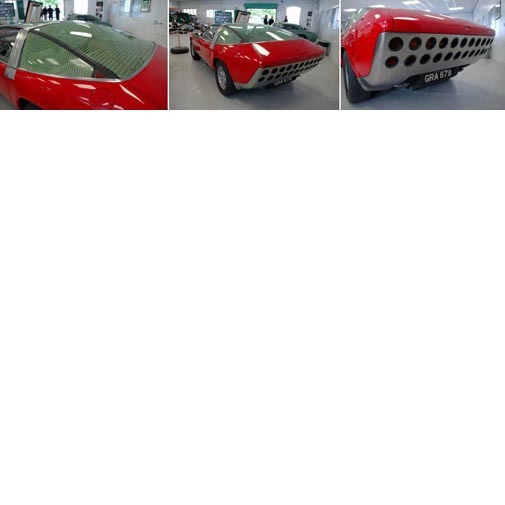 Based on an Aston Martin DBS V8 chassis and engine unit, the bodywork was made of glassfibre and above the waistline it was totally formed from glass supported by a strong tubular metal frame. The whole rear panel was made of a single sheet of brushed stainless steel with 22 holes cut into it for the rear lamps and braking lights. The harder the driver braked, the more lights were illuminated! Also the reduction of weight gained through the lighter body made the Ogle significantly quicker then a standard DBS V8. 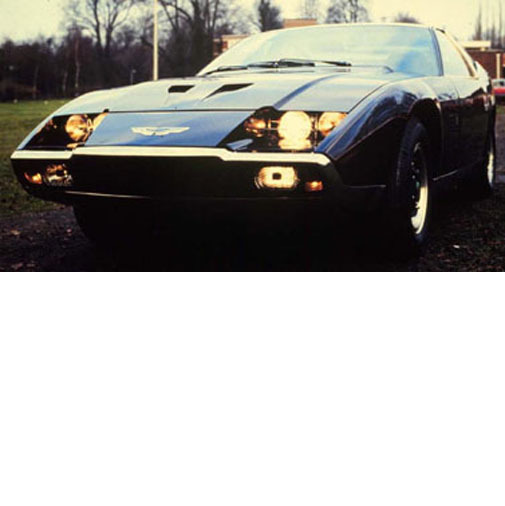 At the same Geneva Motor show were the famous Giugiaro-designed Maserati Boomerang was unveiled in 1972, Ogle displayed the Aston Martin once more. 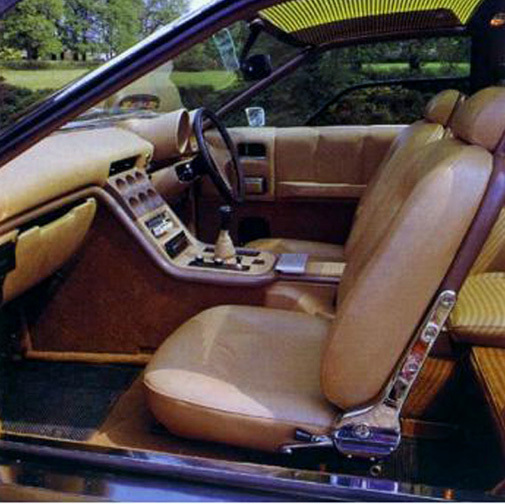 At that time Italdesign founder G. Giugiaro came over to the 'Ogle' stand in order to congratulate Tom Karen for his creative design of the car, pointing out various new and innovative details such as the special sideways position of the single rear seat and a complete glass roof. This is one of only two hand-made Aston Martin 'Ogle' models, each selling for £28,750 at the time, or the equivalent of three regular Aston Martin DBS V8 coupes. Today this road registered concept car is still in excellent condition having seen relatively little use received regular maintenance. 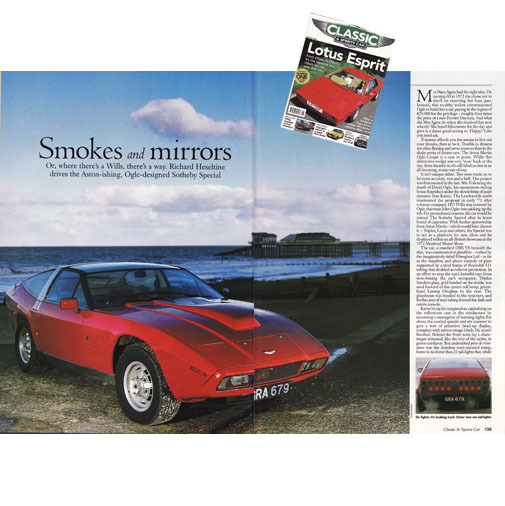 Both the interior and the exterior can be described as being in excellent condition and all mechanical parts are said to be fully operational, as demonstrated on a recent road test in the July 2004 edition of 'Sport Auto' magazine in France. This is a rare opportunity to purchase not only one of the rarest Aston Martins, but also a piece of design history and would surely make a welcome entry at any international concours event or Aston Martin Owner's Club event. The Aston Martin V8 by 'Ogle' will always be a futuristic and exceptional car and never go unnoticed in whatever automotive company it finds itself in.